Rule no. 1: Not all products are created equally. Rule no. 2: Not all "natural" products are actually "clean", "green", or 100% natural! Rule no. 3: The perfect product should be 100% clean, purposeful, effective, and positively affect all of your senses. We've spent countless hours researching, testing, and evaluating products across all categories. The result: a perfectly curated selection of the most natural, highest-performing, and beautiful skincare, bath, body, and makeup products available. Farmaesthetics® is a full line of 100% natural, premium “green” skincare products for face & body, professional use and for use at home. Products are made with organically grown whole herbs, flowers, grains & oils from American family farms. 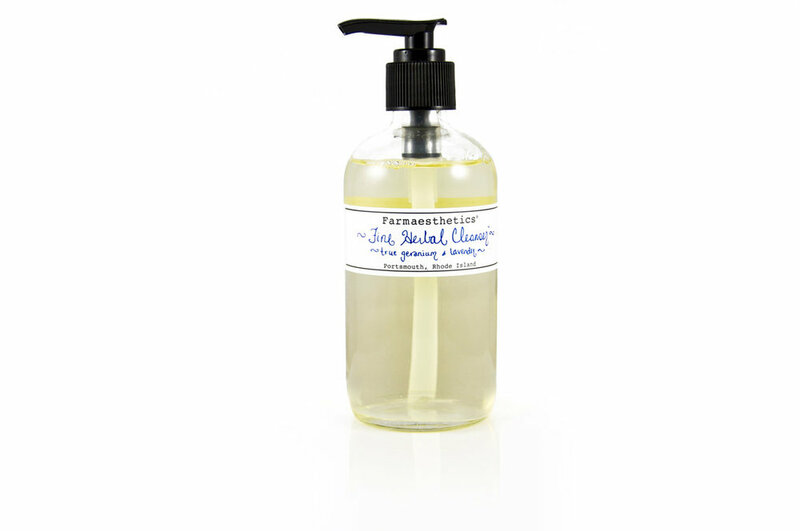 Farmaesthetics® believes that what is not in a product is just as important as what is. Our take: products are effective, ingredients are purposeful, and we'll never have to question the appropriateness of an ingredient or whether it was sourced ethically--because we know they are! We've seen Brenda in action selecting her raw materials and working with suppliers, and her standards are uncompromising. Additionally, while the majority of the products aren't formulated from an aromatherapeutic standpoint, they provide that requisite full body/mind/spirit experience we believe to be so important when choosing a product or regimen. Did you know that up to 80% of what we put onto our skin is absorbed into our bodies? Crazy, right? Hence the importance of using natural makeup. Based in New Mexico, Vapour is an award-winning color cosmetics brand whose products are made from natural food grade ingredients. Products are 100% natural, and contain 70% organic ingredients + 30% minerals. We love this brand because their products (a) perform, (b) are completely clean, and (c) feel amazing on the skin. Plus, their values are right in line with ours: purity & performance. Creating healthy products in environmentally accountable ways. Want to know more about Vapour and why we've chosen them to be our featured makeup line? See our Makeup page. Using only 100% natural, nontoxic & non-irritating ingredients, Plume is clinically proven to lengthen, thicken, and promote fullness of your lashes & brows. Seriously. 95% of test subjects reported an increase in length and/or density after an average of just 17 days! Longer - Keeps hair follicles in a prolonged growth phase, allowing lashes & brows to achieve greater length. Thicker - Locks in keratin, moisture, & key nutrients to increase hair volume, thickening lashes & brows at the root. Fuller - Protects delicate hairs from environmental harm & breakage to keep more lash & brow hairs in place. And what's more, there are zero side effects, the price is significantly lower than it's cosmeceutical (aka chemical-ridden) counterpart AND results occur in less time. Amazing. 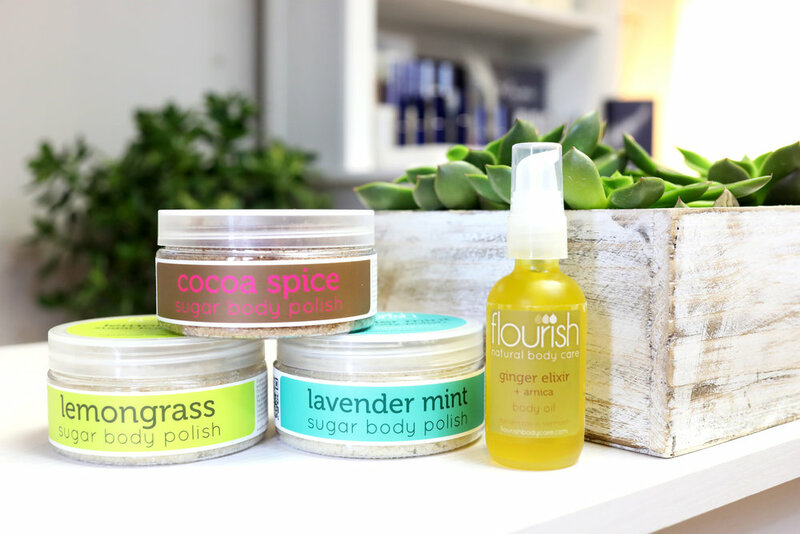 Made in Vermont, Flourish offers beautiful skincare and hair products for those with a discerning palette and appreciation for traditional, pure preparations, but willing to explore unique scent pairings. Flourish's products are made with herbal infusions, organic oils and butters, and ingredients sourced from Vermont farms and beekeepers. Aromatherapy - Each scent has a feeling behind it. It creates a certain mood and color which is reflected in the label. While you may find a favorite scent that you stick with, many people switch scents with the season or even the time of day. Organic Ingredients - Every oil or butter used has been grown organically. Created by a daughter who lost her mother to skin cancer, Suntegrity Skincare is a line of natural, multi-tasking sun care and beauty products designed to nourish and treat the skin while offering UVA & UVB protection. Suntegrity's face and body formulas all contain moisturizing ingredients, youth promoting antioxidants, hyaluronic acid, and offer Broad Spectrum UVA/UVB Protection, SPF 30.